Improvise, Adapt, Overcome – Fix Bayonets! Among those interested in military history, and in particular American military history, there are essentially two prevailing opinions about American Marines. The first is that Marines are really quite good at amphibious warfare. 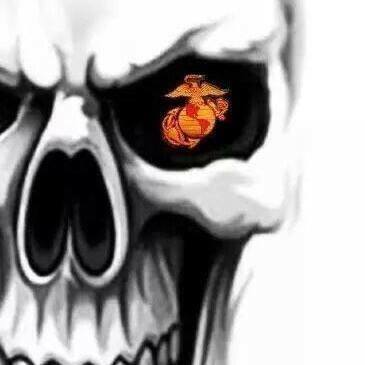 However, those with greater understanding realize that the Marines are more than amphibians; they are chameleons. Marines aren’t just good at completing their traditional mission of projecting Naval power ashore; they are damn good at fulfilling every mission assigned to them. What makes this even possible is the attitudes common among Marines: Improvise, Adapt, Overcome. American Marines did not invent amphibious warfare; some form of it has been with us for at least 3,000 years. Julius Caesar, the quintessential field commander, not only made amphibious landings, he also developed ship-borne artillery to support his landing forces. From all this experience through three millennia, we know there are two kinds of amphibious operations: those that were highly successful, and those that were a complete disaster. Of the latter, no greater example exists than the spectacularly unsuccessful amphibious assault on Gallipoli, where of the 499,000 troops landed by allied forces, half were killed, injured, or rendered incapacitated due to sickness and disease. It was during the period between world wars that the U.S. Navy and Marine Corps developed specialized amphibious warfare doctrine and equipment. In the 1920s, two events propelled the Marine Corps to the forefront of amphibious inquiry. The first of these was the introduction of the Marine Corps Schools at Quantico, Virginia. The creation of Major General Commandant John A. Lejeune, MCS provided an environment that encouraged enlightened thinking in matters of warfare. Within this school, scholarly officers began asking “what if” questions about the future of war involving the United States. The second event was the rise to prominence of Lieutenant Colonel Earl Hancock “Pete” Ellis, United States Marine Corps. By this time, it was well known that Japan had seized a number of Pacific islands from the Germans during World War I. Marine scholars began to suspect that Japan was beginning to fortify these islands. Lieutenant Colonel Ellis published a study in 1921 entitled Advanced Base Operations in Micronesia. He not only predicted and outlined every move the US would eventually follow in World War II and warn fellow Marines that the US would eventually face heavily fortified Japanese-held islands. He also predicted the application of advanced warfare technology, such as the aircraft carrier, torpedo planes, and long-range bombers. From these inquiries, Navy and Marine Corps planners began to devise new troop organizations, new amphibious landing craft, the means of coordinating naval artillery and sea-borne air assault strategies, and logistics methodologies. Navy planners scheduled exercises within the Caribbean area to test hypotheses and it was from these lessons that a formal amphibious doctrine was eventually developed —including the seizure of objectives and the defense of advanced naval bases. By 1927, the Marine Corps was officially tasked as an advanced base force. On 7 December 1933, Secretary of the Navy Claude Swanson issued General Order 241, which transformed the Advanced Base Forces into the Fleet Marine Forces (FMF). From this point on, the U. S. Marine Corps became America’s quick reaction force. By 1934, Marine Corps tacticians had developed effective amphibious techniques, and in that year the Marine Corps published the Tentative Landing Operations Manual. It was tentative because the Navy and Marine Corps continued to test emerging ideas about amphibious operations. They accomplished this through annual fleet landing exercises. Much of this early information continues to exist in updated field manuals and doctrinal publications. It will suffice to say that these preparations proved invaluable in World War II, when the Marines not only spearheaded many of the attacks against Japanese-held islands in the Pacific, but also trained the U.S. Army divisions that also participated in the island-hopping campaign. What the US Army knew about amphibious operations in the planning and execution of Operation Torch (North Africa, 1942) they obtained from the doctrine developed by the Marine Corps in the two previous decades. Three months before war broke out on the Korean peninsula in 1950, US Army Chief of Staff General Omar N. Bradley famously said, “The world will never again see a large scale amphibious landing.” Three months after that, the Marine Corps made an amphibious landing at Inchon, Korea —the master strategy of US Army General Douglas MacArthur. “An ability to furnish skilled forces to meet emergency situations on short notice has long been a hallmark of the U. S. Marine Corps. When the call came for such a force to be dispatched to Korea on 2 July 1950, the Corps was handicapped by the strictures of a peacetime economy. Nevertheless, a composite brigade consisting of a regiment and an air group was made available within a week’s time. What General Shepherd did not say, of course, was that by the time President Truman and Secretary of Defense Louis Johnson finished destroying our defense structure, none of our military services were prepared for another conflict. The magnitude of the task accomplished by the Marine Corps in the first ten weeks of the Korean War may be fairly judged from the fact that on 30 June 1950, the 1st Marine Division consisted of only 641 officers, and 7,148 enlisted men. The 1st Marine Aircraft Wing had less than 500 officers and only 3,259 enlisted men. On 2 August, the 1st Provisional Marine Brigade was pressed forward into the Pusan Perimeter with a scant 6,600 infantry and aviation officers and enlisted men. The Brigade became known as the Fire Brigade; it was also a light brigade because rather than having three full infantry battalions in the regiment, there were only two. Rather than having three infantry companies in each battalion, there were only two. Rather than having three infantry platoons within each company, there were only two. What this meant was that the Marines were going into combat without an organic reinforcing reserve capability. They were going into combat without the ability to replace casualties. One may wonder how this was even possible. The answer, of course, is that American Marines always get the job done —no matter what it takes. Marines always improvise, adapt, and overcome. Colonel Ellis (1880–1923) served as an intelligence officer whose work became the basis for the American campaign of a series of amphibious assaults that defeated the Japanese in World War II. His prophetic study helped establish his reputation as one of the forefront of naval theorists and strategist of his era, to include foreseeing a preemptory attack by Japan, and island-hopping campaigns in the Central Pacific. Colonel Ellis became the Marine Corps’ first spy whose mysterious death became enclosed in controversy. Given the uncertainties, likely be encountered in combat, I think this speaks volumes! John… we’ve done so much with so little for so long that we can do anything with practically nothing forever. Or something like that. A most fascinating history lesson here, sir. Thank you. Colonel Ellis died at a very young age and you now intrigue me. While I am still considering the books on Patton you suggested, Col. Ellis surely appears to have been an insightful man to be read of. The Marine Corps always held a special place in my mind. I don’t know why. Dad was US Army although he rarely, if ever, mentioned it. I grew up reading earnestly “Sgt. Rock” (a soldier) when dad had a dime. Watched Popeye the Sailor destroy the entire Imperial Japanese Navy many a time and still get his girl. Even Sad Sack was Army. I don’t recall reading or watching anything Marine Corps. Even the USAF had Wonder Woman. Perhaps it was its “get it done” attitude – or just the camaraderie shown by the ground level boots portrayed in Sands of Iwo Jima. A team focused on their fellow Marine and not selfish individuals. Perhaps its the storied honor. There will always be soldiers, pilots, sailors… and the Marine, the only one starting with a capital letter. Korea was a given. For you Marines, achieving an objective is never in doubt. Ah, The Marines! Anything I would say would be filled emotion of all sorts. Mustang and I have over sixty years in The Corps between us. We know what we know. Mustang is, by far, the better writer than I. I am a bit of a miltary history freak, thus I always appreciate the fine job he does with Fix Bayonets. Another OUTSTANDING history lesson about our own, Colonel M.
Thank you for comments, Koji. As always, much appreciated. Colonel Tad (‘Colonel’ — correct?,) when Colonel M asked me to design his masthead and told me it would be named “Fix Bayonets!” — a LOT of memories started flowing about a LOT of platoons/squads I had the ‘pleasure’ of spending ‘evenings’ with.